Armand Garnet Ruffo is a scholar and poet of Ojibway heritage. He is among the second generation of contemporary Indigenous writers in Canada to begin publishing in the late 1980s and early 1990s. His work includes Opening in the Sky, Grey Owl: the Mystery of Archie Belaney, At Geronimo’s Grave, Norval Morrisseau: Man Changing Into Thunderbird, The Thunderbird Poems, and Treaty#. His feature film, A Windigo Tale, won Best Picture at the 35th American Indian Film Festival in San Francisco and The Dreamspeakers Film Festival in Edmonton. Born in Chapleau, northern Ontario, he currently lives in Kingston, Ontario, and teaches at Queen’s University. His poetry, fiction and non-fiction continue to be published widely. Ruffo will be visiting the Mary J.L. Black Library on Saturday, April 13th, reading from his new book, Treaty#. 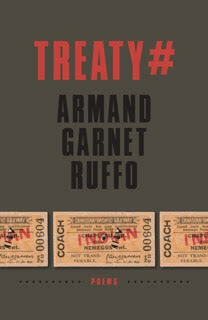 Shauna Kosoris: Your new book, Treaty#, is coming out soon. What inspired you to write it? 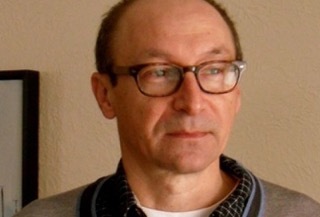 Armand Garnet Ruffo: The book has been simmering for a long time. I originally had the idea of a book ‘inspired’ by the treaties when I came across a letter that my great-great grandfather, Chief Sahquakegick from Pogamasing, northern Ontario, had written to the Department of Indian Affairs at the turn of the last century. In it he says that his people are starving, and they would like to entre into treaty, thinking that treaty of course would help. To my knowledge the letter fell on deaf ears and nothing ever became of his plea. Wow! What else can you tell me about Treaty#? Again, that letter was the impetus, but the book covers many things, which to my mind connect to the treaties. It seems to me the treaties were the first tactic used by government to formally disenfranchise Indigenous people, and they had profound repercussions, leading to extreme poverty, isolation, Residential Schools, etc. You’ve written other books, such as Norval Morrisseau: Man Changing Into Thunderbird and Grey Owl: The Mystery of Archie Belaney, with a combination of poetry and prose (a style referred to as “creative biography”). Did you use this style for Treaty# as well? Well, the book consists of a wide variety of poems, and I do use the creative biographical technique in some of the pieces. However, if there’s a “character” it’s imbedded in the authorial voice, which may or may not represent me. I say this because I open the book with a quote from the French poet Charles Baudelaire who said a poet has the ability to be two people at once. Why did you first start writing in the creative biography style? The first book that got me into that style was Grey Owl: The Mystery of Archie Belaney, which I wrote some 20 years ago. When I began the book all I knew was that I wanted to write about Belaney because he had lived with my great grandparents in northern Ontario, and I wanted to write his story from an Indigenous perspective. What I found was that the form allowed me to interpret a historical personage while at the same time create a character. In other words I could use poetic form combined with the techniques of fiction to create someone based in history. Furthermore, it allowed me to move out of myself so to speak and not have to focus on my own personal experiences. I have to admit that I do get rather tired of people documenting the minutia of their lives. Maybe that’s why Treaty # took a while to come together. What is your process like for writing a creative biography? It entails a ton of research. Once I have all the material collected and read, I wait for a while before I start the writing. For me, I have to read everything and then almost forget it. Maybe another way to say this is I have to digest the material. I think that’s because I’m never trying to write a conventional biography. My process has always been tied to poetry, and hence it’s the poetry process that informs my writing. You’ve said in other interviews (such as on jonathanball.com and Jacket2) that you’ve always been interested in form and genre. Why do they appeal to you so much? Simply put, I enjoy the challenge of trying something new. I recently finished a libretto for a musical, which was certainly a challenge, and, yet, I thoroughly enjoyed writing it. How fun! So what are you working on now? I have recently turned to a more fictional form, and I’m now enjoying that process, but, again, it’s a challenge. I don’t want to say too much because I’m always afraid I’ll talk it out of me. Fair enough. To finish up, I’d like to ask you a few questions about what you like to read. What book or author inspired you to write? There are so many. Again, I love Ceremony. J.M. Coetzee’s Waiting For The Barbarians struck a chord with me, and closer to home I think Richard Wagamese did a fine job with Indian Horse. I just picked up Terese Marie Maihot’s Heart Berries: A Memoir and cracked it open. So far so good!